The best time to book your newborn session is soon after your 20 week scan. This allows me to reserve a provisional date for you and also to keep space in my schedule should your little one arrive early or late. Ideally, the session will take place when your baby is between 5-14 days old as this is the best stage to capture those sleepy, curled up, brand new moments. I’ve forgotton to book do you book in last minute sessions? Although I recommend booking as far in advance as you can I do still have occasional sessions available so please do get in touch if your baby is already here and you have decided last minute to have newborn portraits taken, I may be able to fit you in! 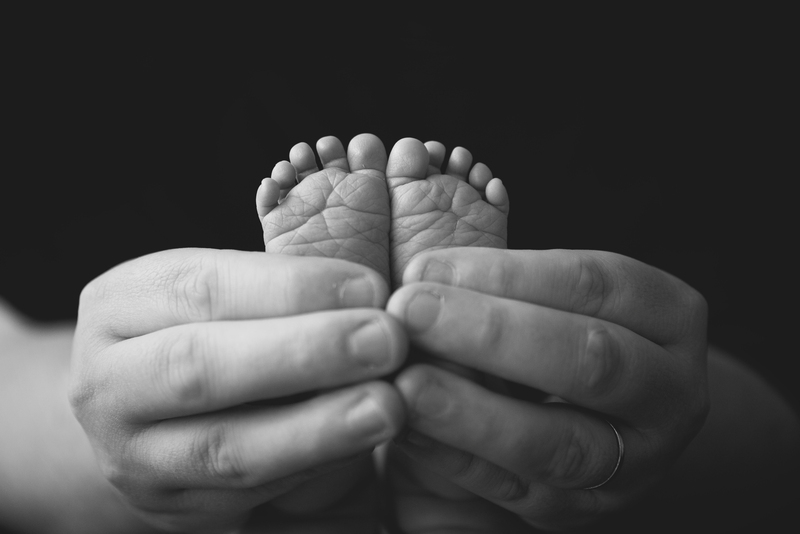 A newborn session is designed to be as relaxing as possible and I let each baby guide the session. Some babies are happy to sleep the entire time while others may need some gentle soothing, this can sometimes take a while so please keep around 3-4 hours for your session. All sessions take place at my studio based in Gartcosh, North Lanarkshire. What if my baby has a little accident on your props? It is very likely that your baby will wet or poo on my props! Please don’t worry about it. All of my props, blankets outfits are washed after every session. At what age should I book a sitter session? After the newborn stage has passed the next best time to have portraits taken is around 6-8 months. By this stage, babies can sit up on their own which makes for a more varied and fun portrait session where they can interact more allowing me to create images brimming with their own little unique characters. At this stage babies just love exploring new surroundings and are typically very happy and smiley, it really is a wonderful time to have portraits taken and a family portrait. How long do 6-8 month sessions last? Sitter sessions last roughly 1 hour with up to 3 outfit changes so that we can achieve a variety of different looks. There will also be time towards the end for some family portraits which I also encourage. Do cake smash session have a theme? When booking your babies cake smash photo session we will discuss ideas on what theme and colour scheme you would like. Whether you prefer subtle & neutral tones with minimal decorations or perhaps something more colourful such as a toy story theme or princess theme for your little one’s celebration, we will create a custom service to suit your wishes. You don’t need to bring much! My studio is stocked with a wide range of outfits, hats, headbands. If you have something special you would love to include in the pictures such as a special blanket, I encourage you to bring along and I’ll do my best to incorporate into your session. Approximately 1-2 weeks after your photo session you will be invited back for your viewing and ordering session. At this time we will discuss lots of options for your artwork and I will help you decide on the perfect combination to suit you. Completely in love with the pictures! we got done of our newborn baby girl. The time in the studio was so enjoyable and the images are beyond stunning. Thank you for a giving us memories to keep forever.